We live in an exciting, ever-changing, electronic era of constant and instant communication that has potential for rapid sharing of information and the possibility of widespread dissemination of a breadth of educational material: but also, this incredible ability to share information allows the very real possibility of an unquantifiable risk of the rapid, or “viral spread,” of misinformation. This so-called, fake news, and non-regulated, non-validated missives from self-proclaimed experts can do more harm than good in our medical world. In the USA, we live with a barrage of Twitter communications (Tweets) from our President, who uses Twitter to “take his message to the public.” Indeed, when used appropriately, these media outlets can in theory advance communication by permitting affirmative or dissenting responses. Unfortunately, these social media outlets are too often abused by many at the expense of far too many well-meaning people, such as the embarrassing Tweets from our President humiliating and belittling others for his political gain. Not surprisingly, these behaviors have infiltrated the medical field, as evidenced by individuals or groups (yes and often physicians themselves) who market their own “ideas” and “practices” void of any evidence-based data for their self-aggrandizement and, possibly, at the expense of the patients and their families. This paper by Reinisch et al. , from the University Hospital of Giessen and the Hospital and Clinics Wetzlar, Germany, which is published in this issue of Langenbeck’s Archives of Surgery [LAS-D-18-00488R1, ahead of print], investigated the potential impact of Twitter on the public opinion of the somewhat more obtuse topic of the non-operative, antibiotic-based treatment of appendicitis by evaluating the information provided through Twitter hashtags. Interestingly (and encouragingly), a large majority of such tweets did not support an overly biased support of or lack of support for this treatment; indeed, the majority described the non-operative, antibiotic-treatment of acute appendicitis as a viable treatment option, some a bit more positively and some a bit more negatively than others, but at least the message was not overly biased. Undeniably, in other more socially conscious topics, there have always been self-proclaimed (non-medically trained) “experts” who profess a deep knowledge of the appropriate type of medical care based on their own beliefs and alleged experience. But, today, the ability to disseminate these unfounded opinions and personal beliefs based on no formal, validated, or evidence-based data is frightening to us in the medical field. Unless the data are validated, screened, or confirmed for accuracy (especially in fields like medicine where inaccurate or downright incorrect or misleading data can lead to serious and avoidable consequences), the misinformation can prove extremely harmful. Conversely, an outstanding, constructive, and positive use of social media is exemplified by selected surgical groups who have used Twitter to improve educational activities to very rapidly disseminate educational information and support to their patients. The challenge for us as responsible representatives of our profession is to leverage some form of control of these platforms of social media to ensure fair, educational, and evidence-based dissemination of information. The same message holds true for the virtual explosion of economically driven, predatory open access medical “journals” which are started without any scientific experience, unlike some of the newer open access journals that are scientifically legitimate, e.g., PLoS and BJS OPEN. These predatory, open access journals are the antithesis of evidence-based, data-driven communications; indeed, so many of these professed scientific journals have no physical office despite a published mailing address, lack a phone number but if one is offered, it is not answered, and prohibit any attempt at contact with an identified editor with the expertise to manage a serious medical journal. Furthermore, these predatory journals either do not have a viable, recognized, expert editorial board that oversees a scientific peer-review process or they create a sham oversight group. So how do we as physicians and surgeons deal with all these different types of “data” let alone educate the public about all this misinformation? Is this our responsibility? The answer is YES! We need to lead the way by using social media to provide medical education to learners, patients, and their families. One avenue is to suggest reputable websites for patients to read or to peruse data from recognized institutions or national associations/societies that are expressed in terms the lay public can understand. Admittedly and unfortunately, wacky, self-proclaimed bloggers, or uncontrolled medical zealots still have access to the Internet and its “viral” power, but as the medical community, we need to respond to and disclaim the various types of the marketing of medicines or treatments that proclaim things like “melt away your fat while you sleep” or the marketing of homeopathic diets that claim the ability to lose impossible amounts of weight, or the miracle treatment of cancer with scientifically unproven medications such as Laetrile! We need to fight back with convincing, understandable, scientific types of data that appropriately inform and convince especially those unwitting patients who are desperate and are the most susceptible to these false hopes by “scam artists” offering a miracle (and often very expensive) cure. We physicians need to be cognizant of these charlatans and expose them whenever possible. 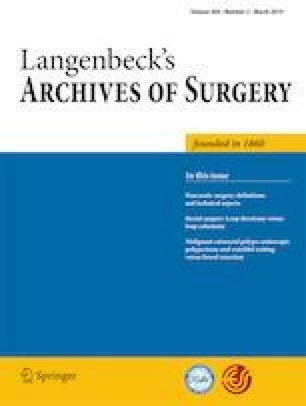 As the authors of this commentary and the co-editors of another top-shelf surgery journal SURGERY, we want to use this commentary as a soapbox or bully pulpit to decry the advent of so many of self-proclaimed experts as well as to address the proliferation of so many of the predatory “journals” that threaten the fabric of our tried-and-true system of peer review. Just this morning, one of us (MGS) received emails from 6, yes 6!, new open access “journals,” three of which asked me to be on their editorial board. Not surprisingly, two of these “journals” were in different specialties than mine, three offered less than a week from submission to “publication” (peer-reviewed? ; heck no! ), only two had phone numbers (no one answered the phone, although there was a “mailbox number” offered by one), none of the emails came from the “editor,” and only one had a website which was immature, to say the least, and had no evidence of an editorial board. Therefore, we as academicians beseech you—do not support these dangerous, predatory “journals,” be cognizant of their nature, and warn your junior colleagues and your patients of their danger. Also, consider ways in which social media outlets like Twitter, Facebook, Instagram, and others can be used as educational tools for dissemination of information or for networking to advance science and improve health care, because these media avenues present enormous opportunities for us to positively impact medical education of non-professionals and to improve patient health.